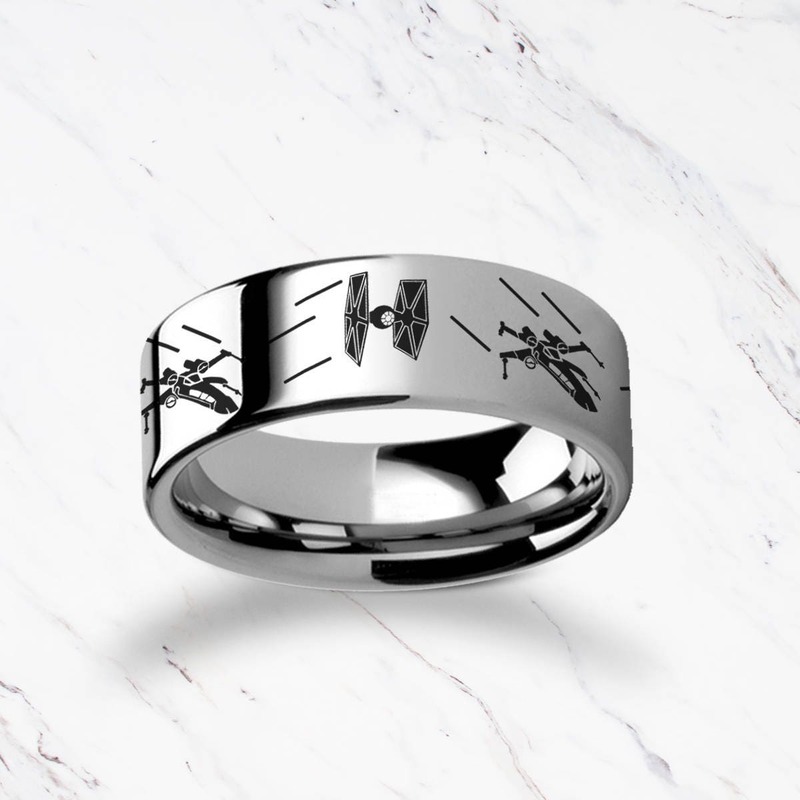 This is a flat polished tungsten carbide ring with an awesome Star Wars Tie Fighter vs. X-Wing design going around the entire ring. You can pair this outside Star Wars engraving with any quote engraved on the inside, including quotes from the film! Absolutely loved this ring. I got a customized ring and Infinite Jewelry couldn’t of been more professional and helpful. I got the run for my boyfriend and ended up having to get it sized up for it being too small. They were more than helpful in getting this done. I will be shopping from them again. And I would 100% recommend them to anyone. This ring was a surprise for my boyfriend. 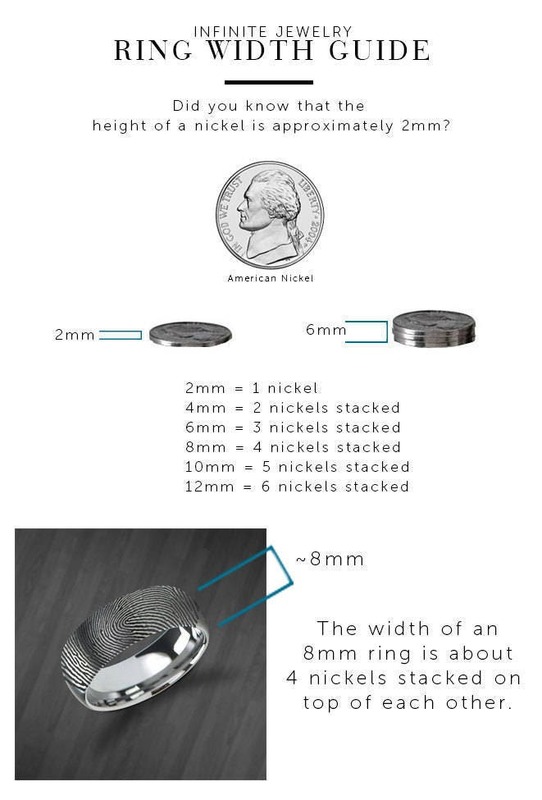 I had to be sneaky to figure out his ring size and also to get his fingerprint. They were very helpful and pleasant when I messaged them with all my questions. I highly recommend them. The ring is beautiful and the Star Wars Ti fighter and X wings are engraved very clear and have great detail! 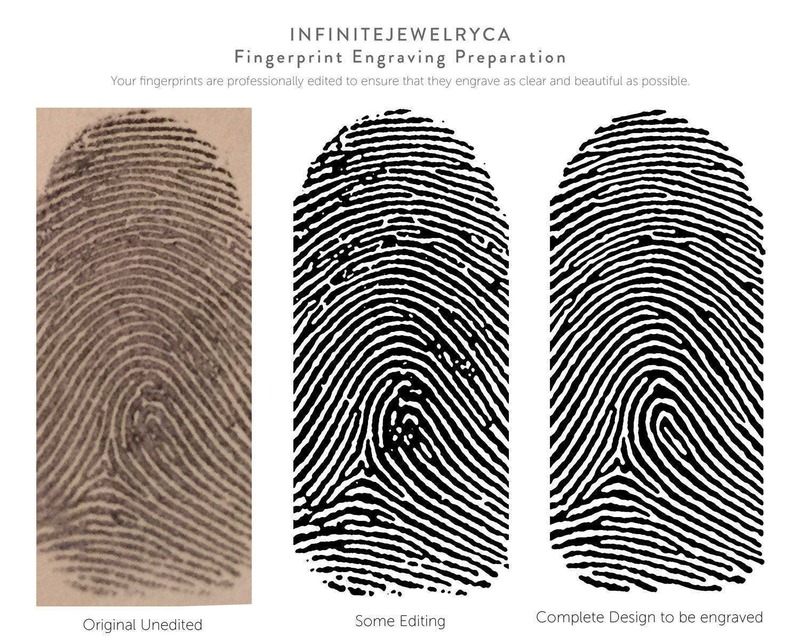 I also had our ring finger prints with the “&” sign connecting them. The detail is exquisite!! Thank you so much!! !